Michelangelo Buonarroti the Younger left us more than two hundred pages of dialogue, stage notes and song lyrics for L'Ebreo - but not a complete and final draft of this intriguing and often very funny comedy. So, in the course of four hundred years - from 1614 until now - the work was never performed nor published nor even circulated in manuscript. 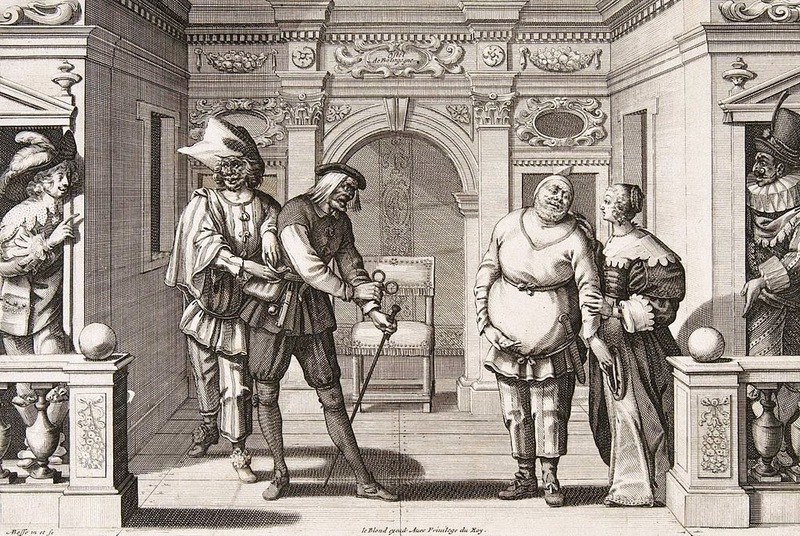 How would the play have looked and sounded if it had been produced in early seventeenth century Florence? Then, how might it look and sound if we produced it today? Turning the pages of this densely annotated text, we can project ourselves into the creative process - sharing the author's ideas and watching them take shape. 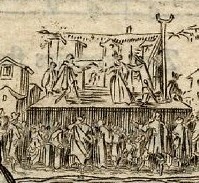 L'Ebreo was conceived for the Carnival of 1614. It was evidently intended for performance at the Medici Court. The rulers of Tuscany were enthusiastic patrons of the theater, mobilizing a vast and varied team of writers, actors, singers, dancers, musicians, painters, architects and engineers. Together they produced a lively program of theatrical events - ranging from grandiose spectacles to everyday fun. Even when working for these great patrons, Michelangelo's compositions were not always noble and courtly. 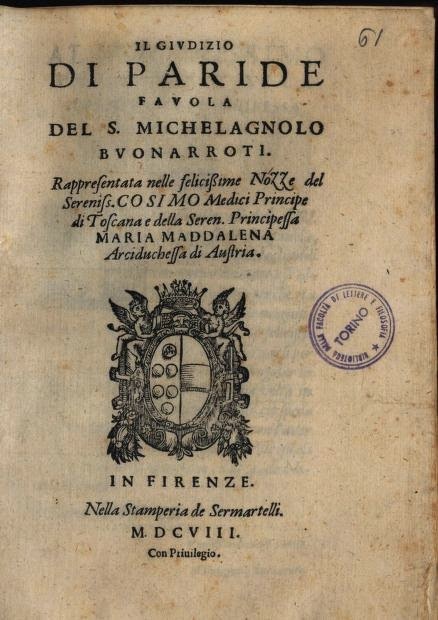 In 1619, La Fiera/The Fair (his most ambitious and original play) was denounced by the Medici themselves for its licentiousness and vulgarity - nearly ending his Florentine career. homage to the Italian comedy of that time. Michelangelo was a master of the Commedia erudita (Learned Comedy) - plays with classical or moralizing themes, usually performed by amateur literati in private academies. 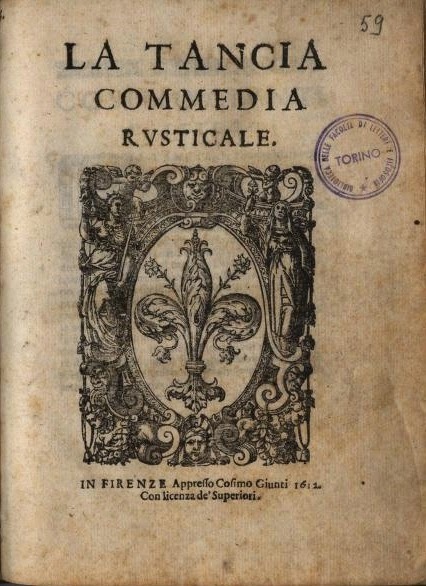 He also appreciated the more spontaneous and amusing Commedia dell'arte all'improvviso ("Improvised Comedy by Professionals")- or simply Commedia dell'arte, as it came to be known. 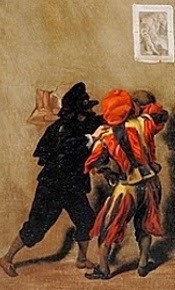 The Commedia dell'Arte began as a popular entertainment, presented by roving bands of players on temporary stages in piazzas and fairgrounds. These Comici dell'Arte always worked "in character", drawing on a repertoire of recognized comic situations, improvising dialogue and action along the way. Sight gags and physical comedy (often crude or risqué) kept the play moving - giving edge and impetus to an often preposterous story line. featuring Italian Comedians in Frenchified costumes. 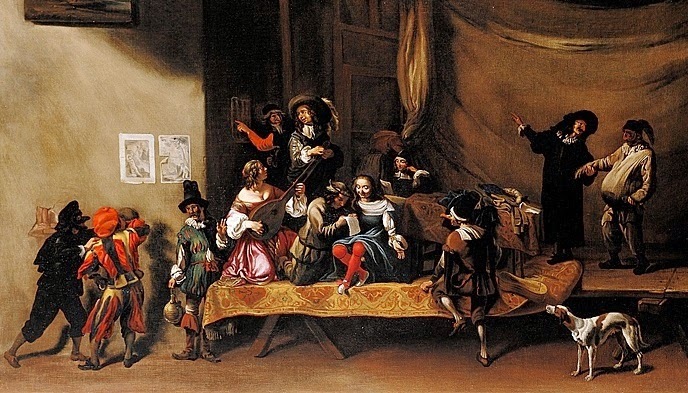 Although the Commedia dell'Arte began life as a humble diversion, the most accomplished companies caught the attention of nobles and princes - who vied for their services, especially during the Carnival season. While shifting their performances from street corners to palaces, these elite comedians upgraded their skills and refined their art. Traditionally, they had worked from simple dramatic outlines (canovacci), but with time they came to rely on scripted dialogue as well. 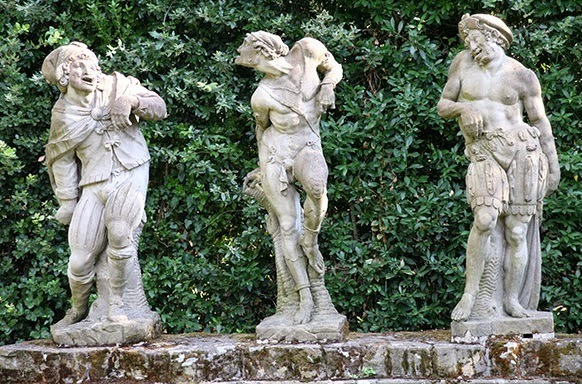 Michelangelo Buonarroti the Younger produced many dramatic compositions - but in L'Ebreo, we see him closest in spirit to the Commedia dell'Arte. L'EBREO'S STORY LINE? CLICK BELOW! In L'Ebreo, the playwright runs us through a dizzying sequence of implausible scenes. Crazy coincidences and breathtaking escapes... Mistaken identities and absurd impersonations... Punctuated by sudden outbursts of comic mayhem. Again and again, Michelangelo inserts complicated bits of theatrical business. 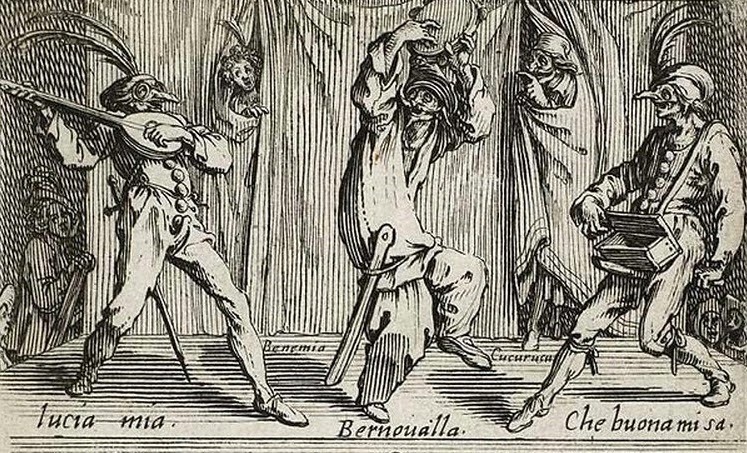 Giving his actors a chance to show what they could do - in the brash and jokey style of the Commedia dell'Arte. 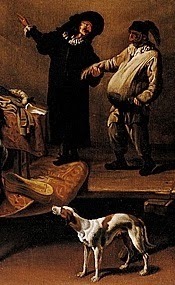 Alamanno Tolosini (the Old Fool) breaks off the engagement of his daughter Oretta (the Young Woman in Love) to Giovanni Barba (the Young Man in Love) - but forgets to stop payment on the dowry, which he deposited in a local bank in Giovanni's name. Giovanni wants to claim this money, but Girolamo Amieri (the Young Lover's Best Friend) warns that the police are out to arrest him. By way of disguise, the handsome Giovanni needs to alter his dashing appearance - which he effects onstage in full view of the audience. Giovanni: Al sangue di me che l’è bella <ma io l’ho per cosa pericolosa> ma che la riesca. 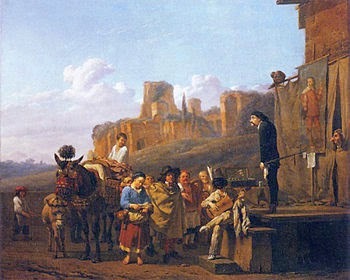 Girolamo: E perché? Ne vuo’ che tu lo faccia, il tentar non nuoce. Giovanni: A fare, proviamoci, andiamo. Girolamo: Ho no, diamola di qua per questi chiassuoli, che intorno a mercato nuovo i birri vi stanno così a bottega come qualsivoglia banchiere or setaiuolo e debbino a quest’ora s’ io non m’inganno star a far all’amor con esso seco. Turati un poco, manda giù quelle basette arricciate, falle piovere in su le labbra, manda giù il ciuffo che ti caschi in su la testa, stiacciati un po ‘l cappello, va un po’ zoppo. Girolamo: O buono a cotesto modo. Giovanni: By my blood, that's a great idea! But risky... And who knows if I can pull it off? Girolamo: What are you worried about? In any case, you'll never know unless you try! Girolamo: Not so fast! We'd better stick to back alleys. Around the Mercato Nuovo, you see more cops than bankers or silk merchants these days. And what about you? It's time to go under cover - so, let's start by uncurling that moustache of yours. Right! Droop it down over your mouth. And that upswept forelock... That needs to droop too - right over your face. Nice hat, but it could do with some flattening. And finally, let's see you walk with a limp. In L'Ebreo, most of the action takes place in and around the residence of the Tolosini family - the doorway, the entrance hall and the street outside. With people popping in and out of doors and windows - and on at least one occasion, running across the roof*. someone hears us? They'll just think we're cats!" L'Ebreo could have been performed almost anywhere: In grand style in one of the Medici court theaters... On a low stage, with a simple but elegant set, in a palace salone... Or even on bare boards, with a meager back-drop, in a courtyard or piazza. 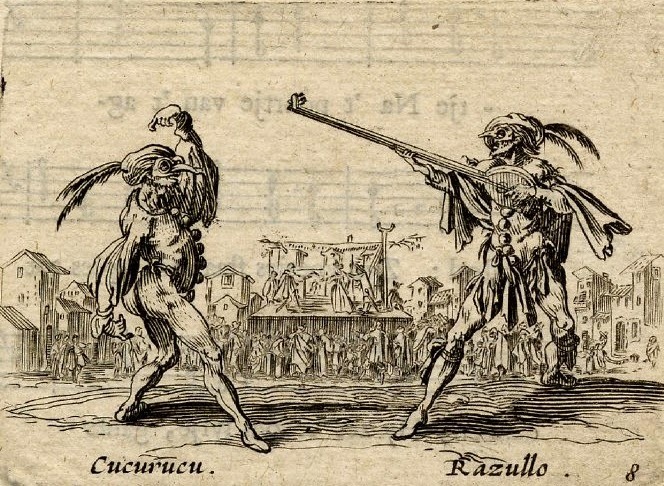 Commedia dell'Arte scene after J. Callot, 17th Century, in a Dutch song book. Whether L'Ebreo was "dressed up" or "dressed down", there would have been music, singing and perhaps dancing. Major productions at the Medici Court usually featured large orchestras, massed choruses and celebrated solo singers. 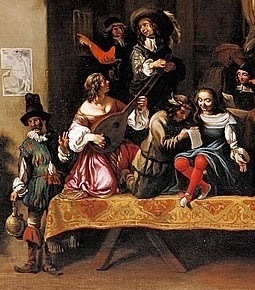 Meanwhile, in the Commedia dell'Arte, actors often grabbed guitars or lutes and burst into song. Center: Archivio Buonarroti 81, folio 111 recto, Song Lyrics for L'Ebreo. Only the first two verses of a rollicking carnival song... We can imagine it sung by Giovanni Barba, the Young Lover. Or else, by Girolamo Amieri, his Best Friend. Perhaps as a festive introduction to the play. 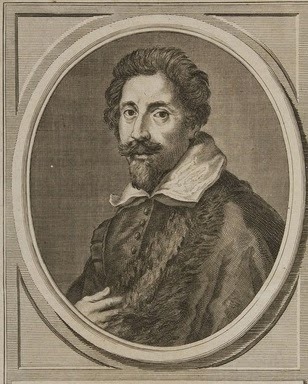 Michelangelo Buonarroti the Younger wrote lyrics for many of the leading singers and composers of his day - including the celebrated Francesca Caccini. He might well have had her in mind for the musical elements in L'Ebreo. 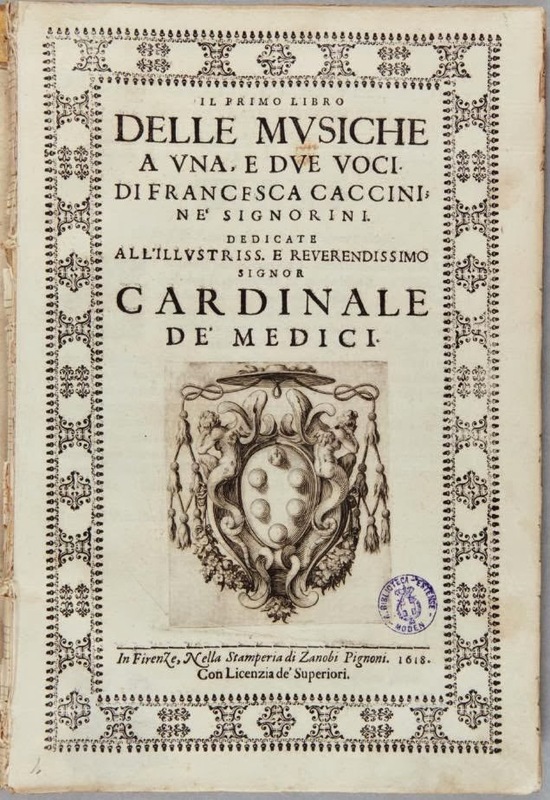 Michelangelo did, in fact, present a widely acclaimed play at the Medici Carnival of 1614 - but it was Il Passatempo not L'Ebreo - with music by Francesca Caccini. The opening song in Il Passatempo was, Chi desia di saper che cosa è amore* (If You Want To Know What Love Is All About) - evidently a direct descendent of Volendo anche amore. So, in Michelangelo's abandoned manuscript, we see L'Ebreo emerging as a madcap Carnival play with its roots in the Commedia dell'Arte. But, meanwhile - in the midst of all the craziness - there was Melchisedec the Jew. And what was he doing on the Florentine stage in 1614?